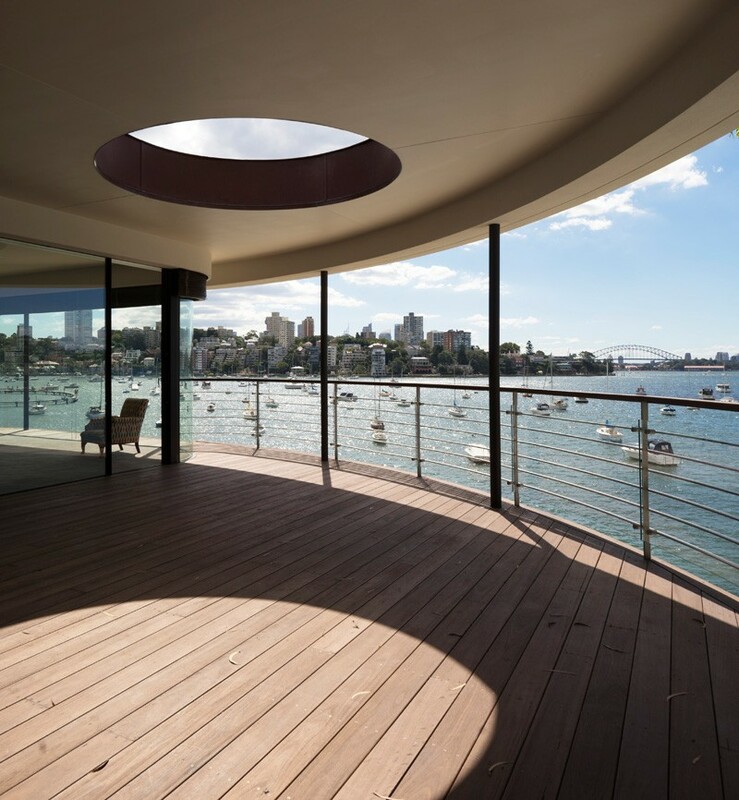 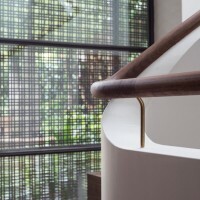 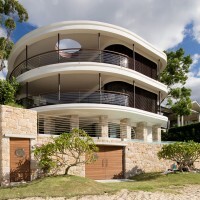 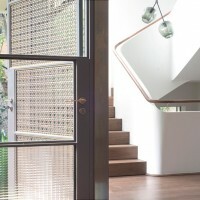 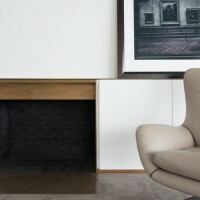 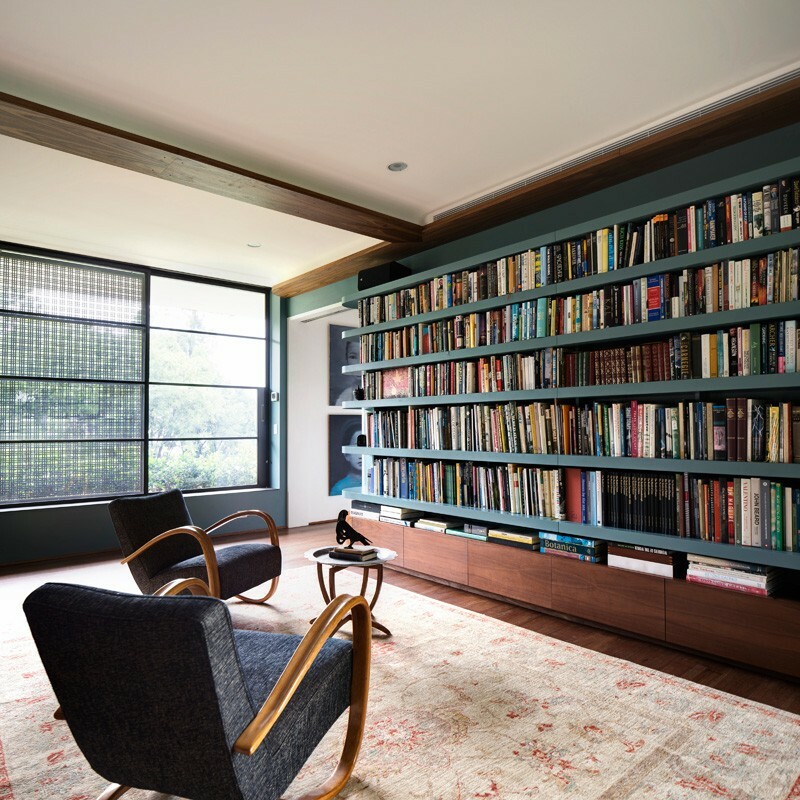 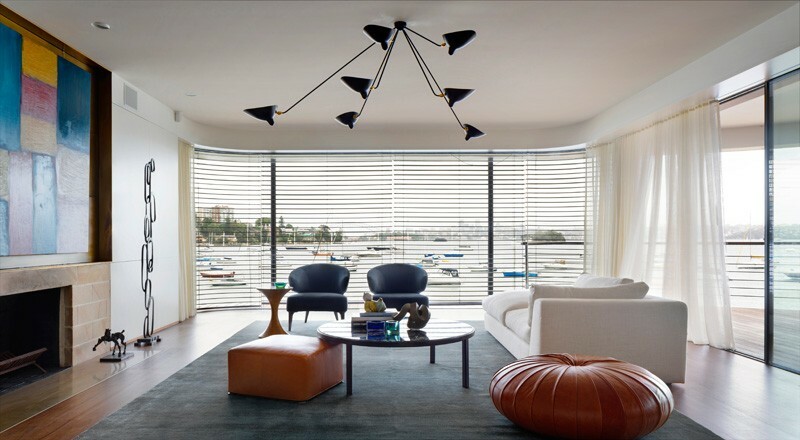 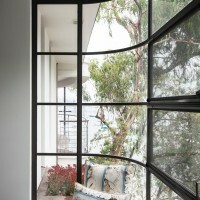 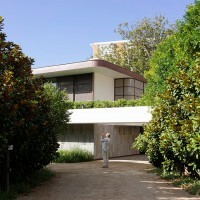 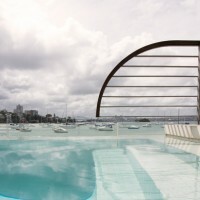 After winning a competition to develop the site, instead of building a new house, Luigi Rosselli Architects chose to revive the existing house, so that it could maintain its closeness to the waterfront in Sydney, Australia. 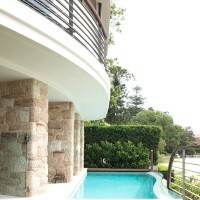 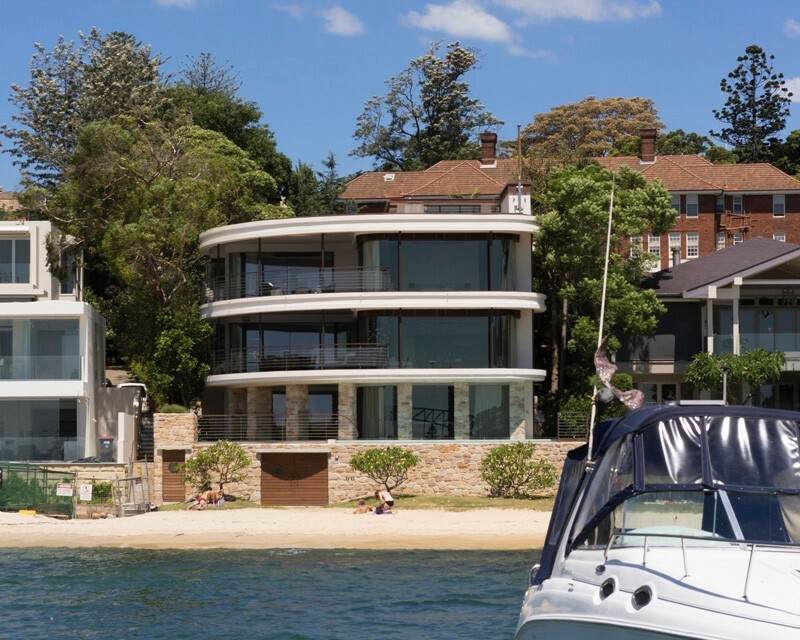 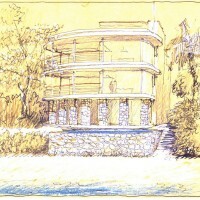 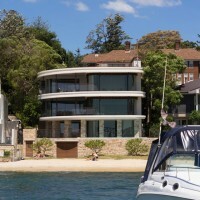 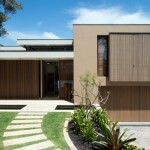 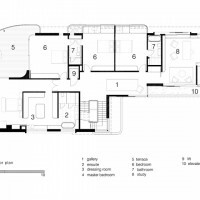 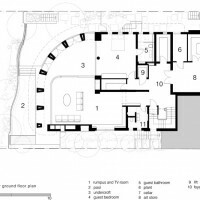 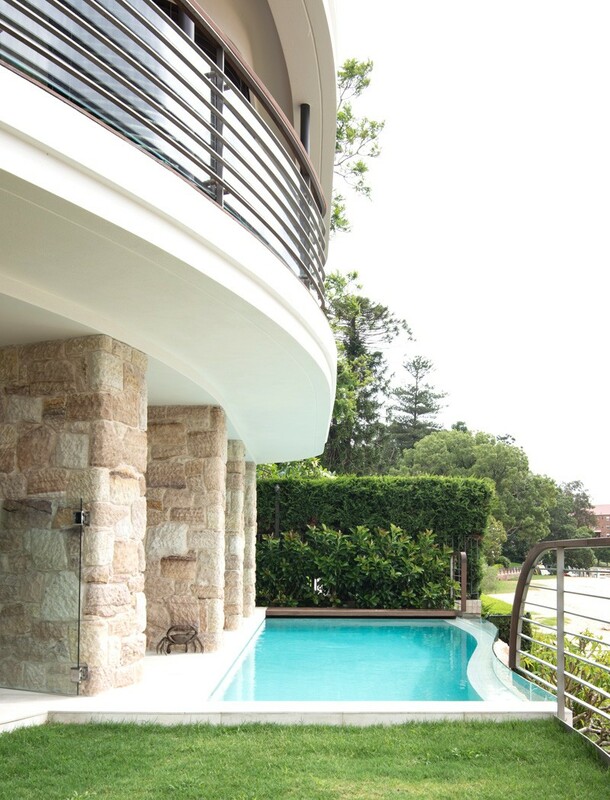 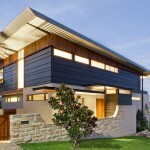 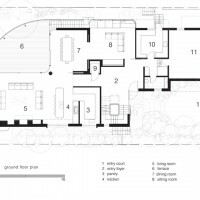 It is quite rare, in Woollahra Council’s municipality, to have a house waterfront residence so close to the water. 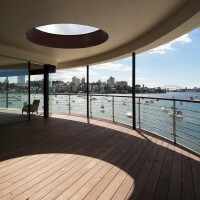 One gets the feeling of being in Sydney Harbour when looking out of the oversized wafer-thin framed windows. 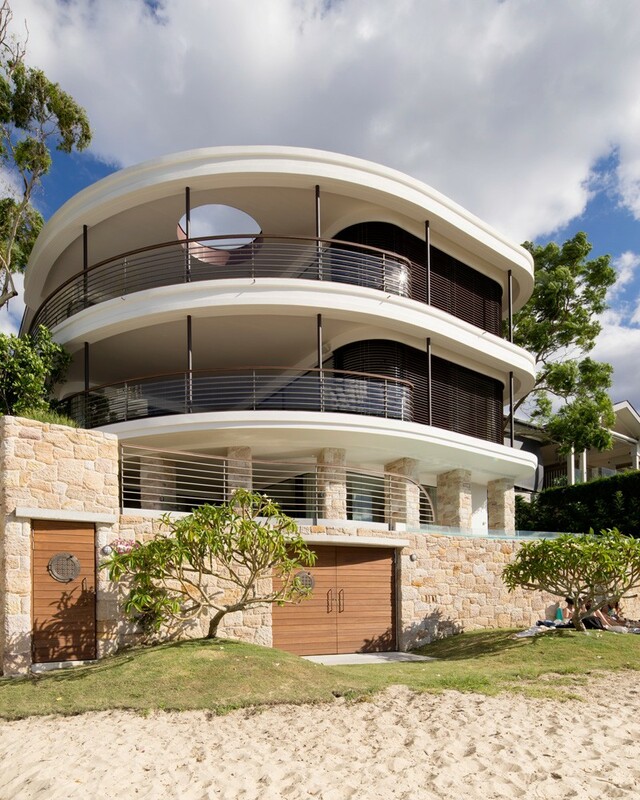 Though built on the edge of beach this is not a beach house. 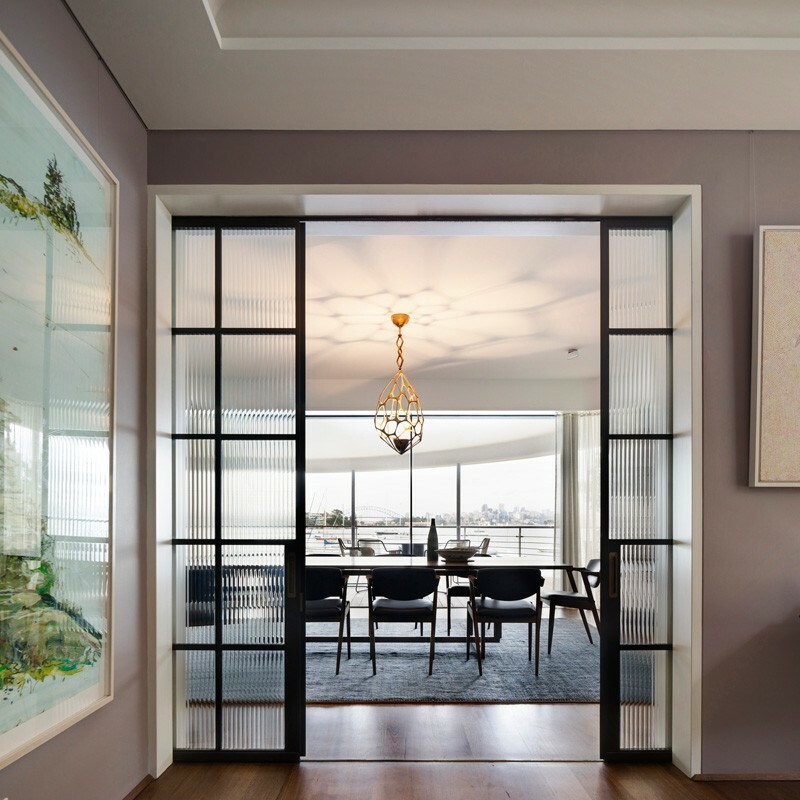 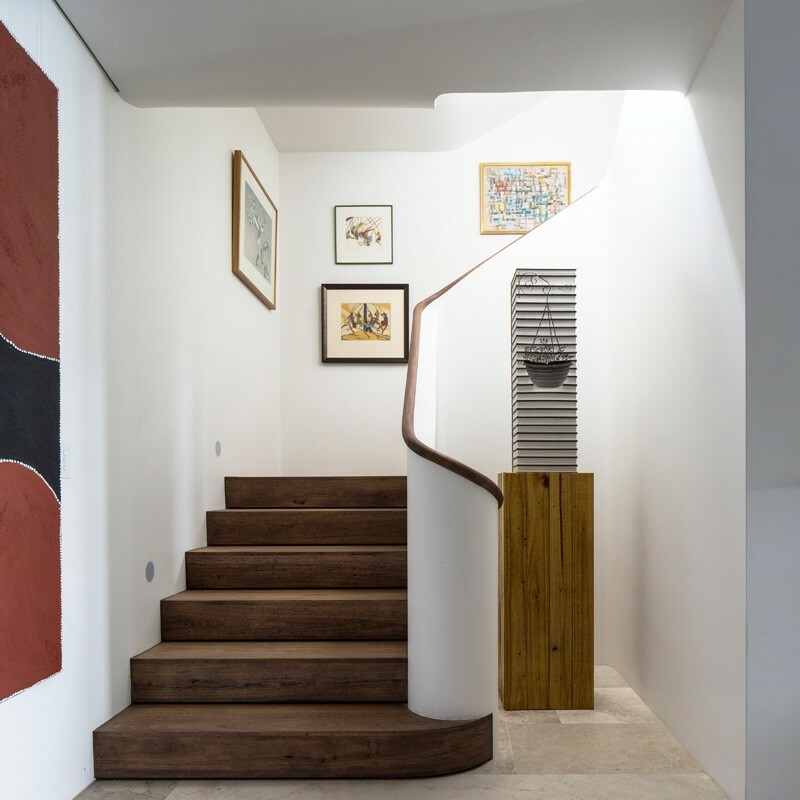 The cultured art lovers and sophisticated art collectors who commissioned this project required a very urbane and elegant residence, with an environment ideal to display their collection. 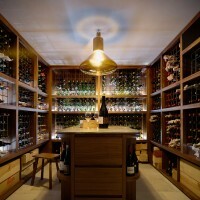 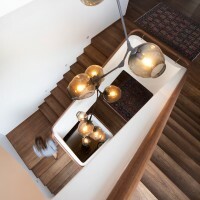 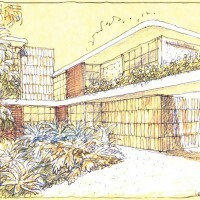 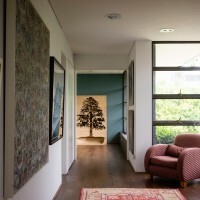 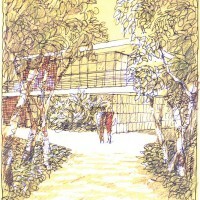 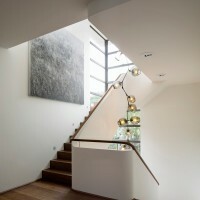 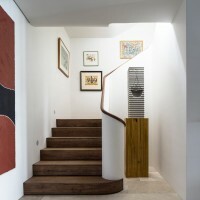 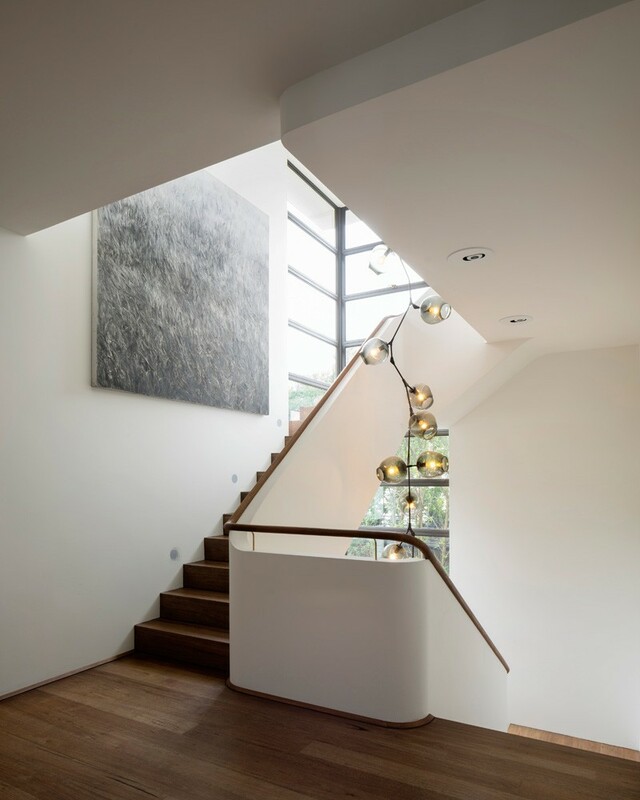 Expansive Wall spaces, nooks for sculptures and specialised art lighting were necessary. 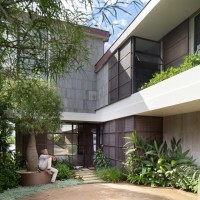 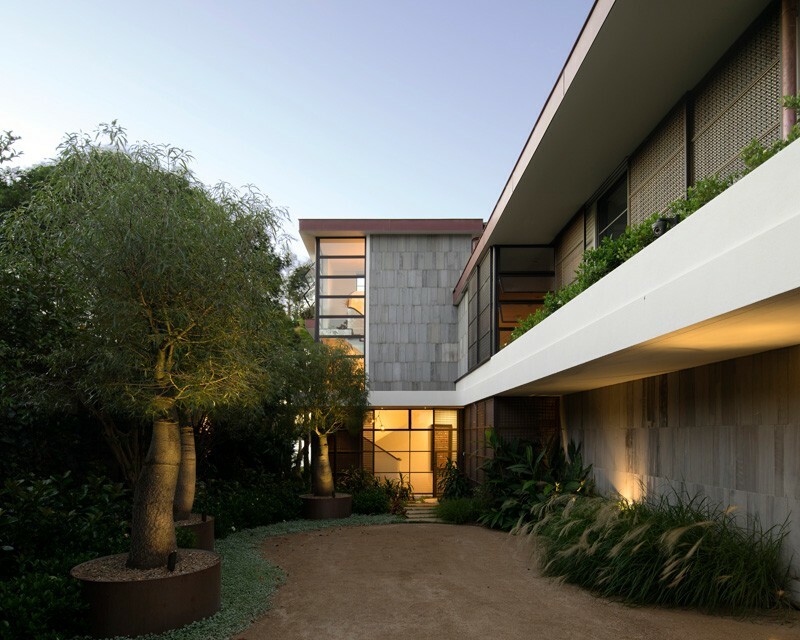 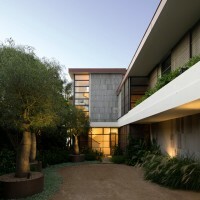 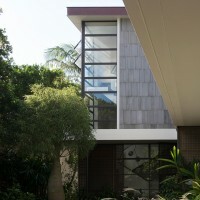 The entry courtyard was originally a cramped driveway with three garages as main features, the solution was to relocate the garages and have a Will Dangar designed courtyard with sculptural plants and textural architectural details. 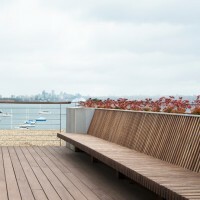 The result restored a sense of dignified arrival where people, not cars, are welcome.